Bushnell's NorthStar telescopes offer amateur astronomers state-of-the-art computer-driven location and tracking capability with simple, push-button control. With a built-in data base of 20,000 celestial objects, you simply call up your target on the hand-held control module, enter a simple "Go To" command and the NorthStar computer does the rest. Once locked on, tracking the object for prolonged viewing is automatic. Our innovative RVO (Real Voice Output) feature provides a fun, interactive way to explore the night sky. The remote, hand-held control module features red, backlit push buttons and a red, illuminated LCD read-out for easy viewing without impairing your night vision. The telescope also features our new 1x wide-angle, red dot finderscope. 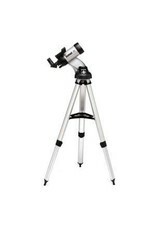 Additional features include a quick-release tripod and accessory tray for fast, easy assembly. This design utilizes a spherically curved front lens element in conjunction with a similarly curved primary mirror, providing sharp images in a compact folded-light path package. The total optical system provides a focal length much longer than the actual optical tube body length. 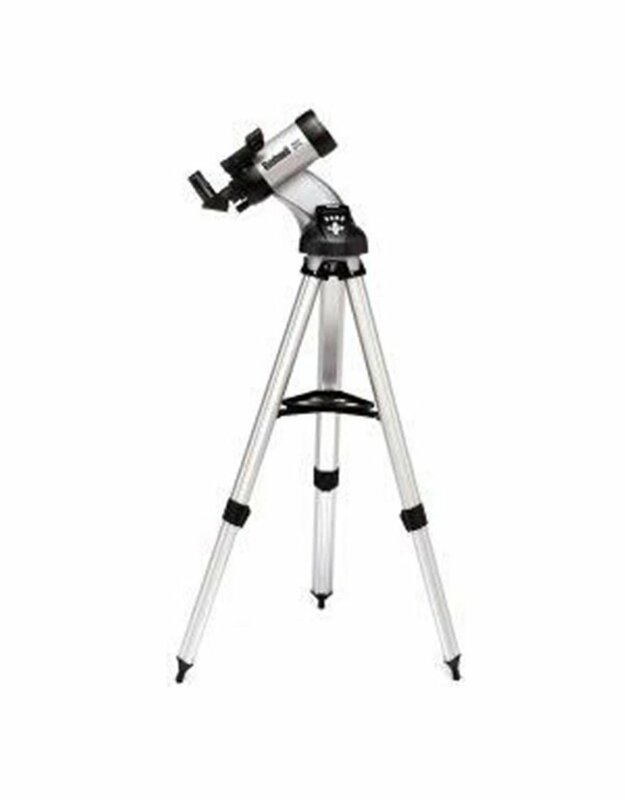 The Go To Star Locator utilizes an on-board computer and advanced motorized technology to allow you to quickly locate and automatically follow over 20,000 pre-programmed astronomical objects with the touch of a button. Educational descriptions of each object are also provided. The hand-held control module features red, backlit push buttons and a red, illuminated LCD read-out for easy viewing that won't impair your night vision. The talking feature of the remote describes the night sky with the touch of a button, in a real human voice. This simple yet high-precision altaz mount features three points of contact in both the horizontal and vertical planes for optimum shape, so that you can set up your view quickly, easily, and accurately. Maksutov-Cassegrain: A design that utilizes a spherically curved front lens element in conjunction with a similarly curved primary mirror. This configuration provides incredibly sharp images in a compact folded-light path package. The total optical system provides a focal length much longer than the actual optical tube body length. GO TO Computerized Star Locator: This feature utilizes an on-board computer and advanced motorized technology to allow you to quickly locate and automatically follow over 20,000 pre-programmed astronomical objects with the touch of a button. Educational descriptions of each object are also provided. Barlow Lens: An auxiliary lens that increases the power by a factor. For example, a 2x Barlow doubles the magnification of the telescope.